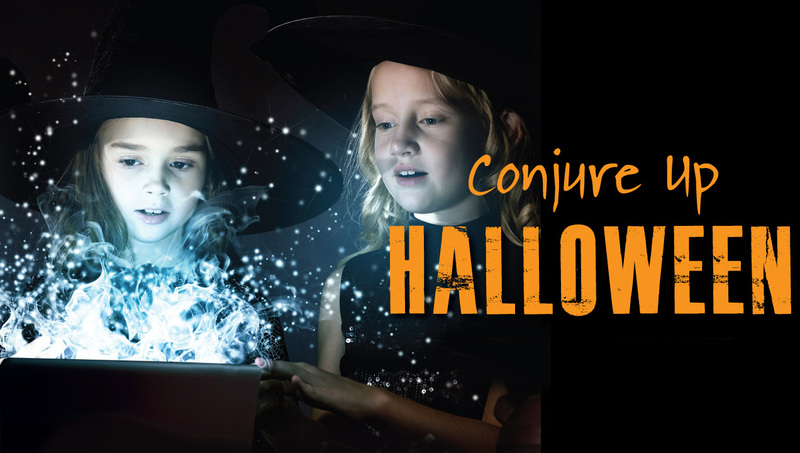 Conjure up some Halloween fun with the hauntingly good collections on hoopla, our on demand digital media service. 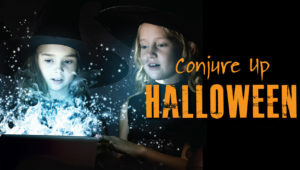 Find adult and family-friendly Halloween titles in music, movies, comics, ebooks, and audiobooks including Goosebumps. Conjure up some Halloween fun with the hauntingly good collections on Hoopla, our on demand digital media service. Find adult and family-friendly titles in music, movies, comics, ebooks, and audiobooks including Goosebumps. Plus, you can access the DC Universe: Rebirth Deluxe Edition, a 96-page collectors’ version that features extensive bonus material not available on any other library digital media platform! More pairs of new, full volumes of DC graphic novels will be released in 2017, each featuring individual members of the DC character family. See the reveal schedule. With more than 400,000 digital titles available, there’s something for everyone on hoopla, including music, movies, audiobooks, and ebooks. And titles are always available – NO WAITING! 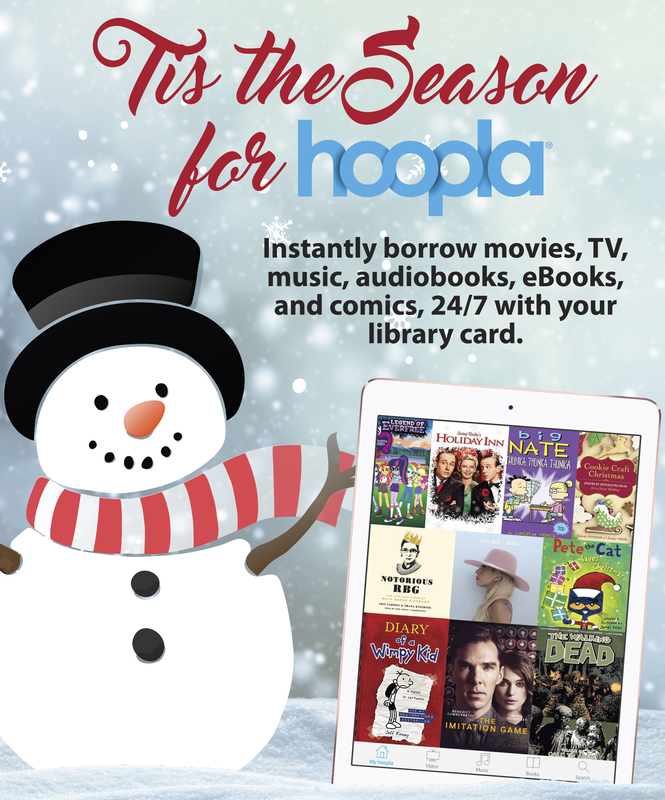 Enjoy the holidays with hoopla! With more than 400,000 digital titles available, there’s something for everyone, including movies, audiobooks, ebooks, and comics. And titles are always available – NO WAITING! Learn more. 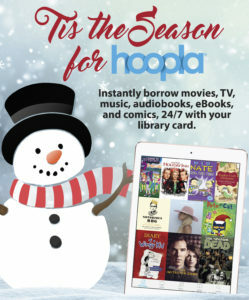 Cardholders can now check out 7 items per month (instead of 5) with hoopla, our on-demand digital media service. With more than 400,000 digital titles available, there’s something for everyone including music, movies, ebooks, comics, audiobooks, and TV shows. And titles are always available – NO WAITING! View the collections, or learn more about how to instantly borrow free digital titles 24/7 with your library card. With more than 400,000 digital titles available, there’s something for everyone, including movies, audiobooks, ebooks, and comics. And titles are always available – NO WAITING! 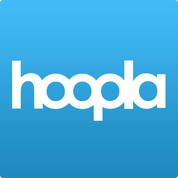 Never used hoopla? Now is a great time to give it a try! IPPL cardholders can borrow twice as many items per month (10 instead of 5) through February 2016! Visit our eLibrary to learn more.